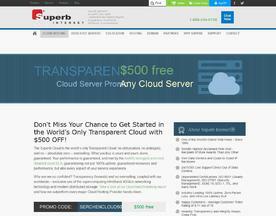 Cloud Web Hosting is the newest form of Web Hosting. 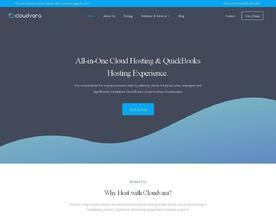 What differentiates Cloud Web Hosting from the more traditional web services available is that the resources and assets that are needed for your site to function correctly are located on multiple servers. This means that should one server fail, your site will have a reduced risk of downtime thanks to other servers or ‘clusters’ that will replace the malfunctioning server. If you’re looking for more traditional online services than Cloud Web Hosting, try our VPS or Dedicated Server online services. We offer our clients custom cloud solutions with an emphasis on providing enterprise level IT support and security - 24x7. We specialize in hosting tax and accounting applications such as QuickBooks, Drake, ProSeries, Lacerte, Sage etc. 15 Day Free Trial. Have an unpredictable business? We have a predictable solution. 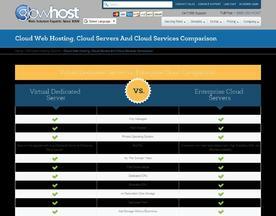 GlowHost's scalable cloud hosting is fully equipped to carry you through any challenge, and exceed expectations. Fully managed with cPanel, email, DNS, SSL, 24/7 support, and so much more. 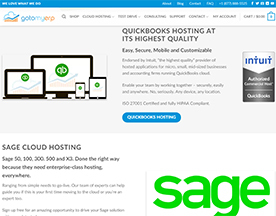 An international leader in fully managed cloud hosting for QuickBooks, Sage, SAP, and all related 3rd party integrations. Dedicated private networks and processing power, nothing is ever shared. Highly secure with quality support, everything just works.